First Birthday Party Ideas for kids. First birthdays are very special for parents and children alike! Here are some ideas to make it a very special occasion. Enjoy our first birthday party ideas to create that perfect party! 1st Birthdays are always a special event but this celebration will be most enjoyed by proud parents, family and friends. So it's really up to you to decide if you want to share this special day with a large gathering or just a small get together. Here are a wonderful selection of birthday party supplies for First Birthdays. 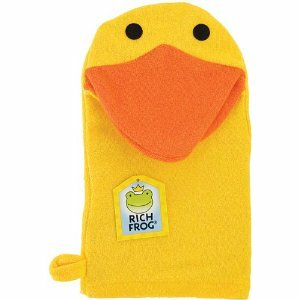 We have seen some of the Celebrate Express items and feel they are great quality and pricing. Here are some cute invitation ideas from 1st Wishes. Color Books for toddlers attending. Face Painting is fun and simple especially if you have a varied age group attending. Leave a set of Disposable Cameras on the Tables: Encourage people to take photos of people attending, events to help take pictures while you are busy with your child. Fill a Baby Photo Album with pictures from your child's first year. Include pictures of as many of the guests as you can. Have each guess sign the photo album on a page you designate or this album offers a memo space next to each picture. Comes in white, black, blue and pink. Free Play area with toddler friendly toys. Having music in the background always is nice to have at parties. Video: Create a video to play in the background of your child's first year. If you have toddlers and other children attending, hiring entertainment can be helpful to keep children occupied. Hiring magicians, balloon makers and face painting artists are some suggestions. Clowns can be fun but also can be scary for some children. For first birthday parties you can have theme related items or really any type of food. 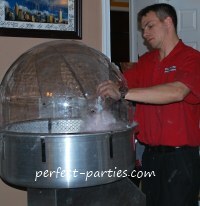 You can even rent a cotton candy machine, shave ice machine or popcorn machine! Having a few simple snacks for younger children such as cereal mixes, baby goldfish, or cut fruit works well. 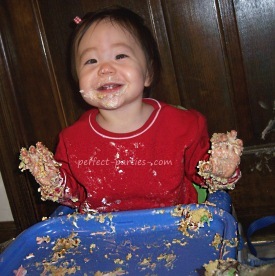 Be sure to check for any food allergies especially if you are inviting babies and young toddlers.